The competition is fierce. So what can you do to stand out from the crowd? 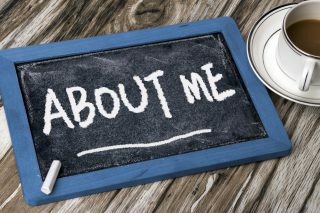 As the term ‘personal branding’ suggests, it’s about marketing an individual’s personality, competencies and services: essentially, everything that makes a person an expert in their field. Obviously, everyone can make vague claims about themselves, but can they do so in detail and stand up to scrutiny? Anyone who decides to use self-marketing should sit down – before they get started – and ask themselves some fundamental questions. Who am I? What can I do? What do I have to say? Who is my target group? These questions define the core of a personal brand and thereby help to develop consistent and credible branding. But that’s not enough. The most difficult part of personal branding is yet to come: communicating with the outside world. What should I say, and where and when do I say it? What do I want to achieve? What channels are most suitable? How often should I post things, and how should I do it? Can I manage all that alone? “Once you’ve lost your reputation, you’ve nothing left to lose.” That might apply to a few people in the public sphere, but shouldn’t be the intention of personal branding. Instead, the focus is on building a credible, positive image – one that creates trust with your desired target group. You can achieve this through targeted reputation management. Just as you’re an expert in your field, there are specialists – like us – who are well-versed in reputation management, branding and content generation, as well as analogue and digital platforms. We know how an individual brand works in a given context. Strategic personal branding requires professional guidance and support. Let us use our expertise to help you. Together, we can define your individual brand and determine what you can hope to achieve. We will research your target group, develop measures and define your channels for external communication. That’s the theory, anyway. But we’re also on hand to help you with the practical side. If you want, we can produce all of your content, or support you in doing so. The same goes for communication channels: no matter whether on Facebook, Twitter, Instagram, LinkedIn etc or your own blog, we will organize the set-up and keep it updated. What’s more, as PR professionals, we can serve as your reliable representative in press and PR matters. You should be aware of one thing: there’s no such thing as “a little” personal branding. If you decide to go ahead, you need to put everything into it. Show yourself to be authentic, credible and honest; don’t put on an act. It’s not about who you want to be, but rather who you are and what you can do. And, crucially: set aside enough time. Personal branding also means staying on the ball. It’s the only way you’ll make sure your target group takes you seriously.